We treat woodworm and rot problems in Leeds, Sheffield, York, Harrogate and throughout Yorkshire. Our team at Brick Tie Preservation are time-served timber experts in helping homeowners deal with troublesome timber infestations. We are Woodworm, dry rot and wet rot experts. Of course you can’t have rot without another of our specialist subjects: damp. Where infestations are caused by a damp problem it is essential that the cause of the damp is identified correctly. The damp must be rectified in order for the timber treatment to be a long lasting and guarantee success. If there’s one thing that woodworms love, it’s wood rot. Woodworm have evolved to feast on damp, decaying timber – originally on the forest floor, but sometimes in your home, if moisture levels are high. Woodworms come in many shapes and sizes, with species favoring softwoods and hardwoods. The most common culprit of infestations in the UK being the Common Furniture Beetle. Don’t be misled by the name though, as they don’t discriminate when it comes to food – any timber will do; providing the conditions are correct. Other decay organisms and timber infestations include Death Watch Beetle, Powder Post Beetle, Dry Rot and Stringy oak rot. Brick-Tie Preservation’s surveying team know how to identify the exact cause of your infestation, and ensure that the correct woodworm or rot treatment is applied to prevent any further damage – we can also treat wet rot and dry rot, and cater for any timber or masonry repairs that may be required to ensure the structural integrity of your property. Treatments are safe and effective. We take the environment and your safety seriously, so you can have faith in us. Trustworthy or trying to sell something? Our surveys are not free – our fees are low and cover our survey costs so you can be assured that the survey and report will be fair, accurate and not influenced by the prospect of winning work. Our surveyors Paul and Bryan are well paid professionals and are not paid commission on sales. Outside accreditations which address ethics and fairness to consumers include: Which? 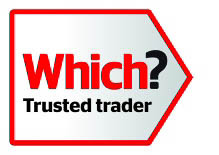 Trusted Traders and we’re award winning members of the Property Care Association. We have separate pages for all timber infestation problems – see links right and below. We offer homebuyer damp and timber surveys by our professional surveyors – call us, we’ll find any timber infestation and damp problems before they find you. As award winning members of the Property Care Association, you can be sure of a high standard of service, excellent results and ongoing protection via our insurance-backed guarantees – so if you have a concern about timber infestations, dry rot or woodworm – Brick-Tie Preservation are Yorkshire’s timber infestation experts.